Pancakes are one of my favorite foods. I think my family feels the same, because when I make them, they are all happy about it! 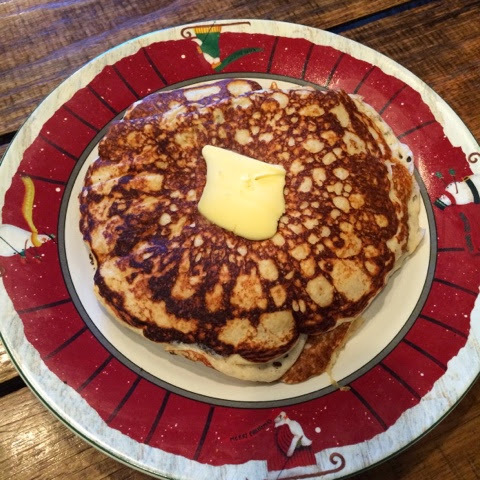 I love the THM version of pancakes also, they are FULL of protein and yumminess! Blend in your favorite blender and fry them up in a pan. Use a non-stick spray on your griddle to keep the fat low. You will feel good and satisfied with these pancakes even though they are low fat.